There are a number of web sites out there that provide the opportunity for you to apply for freelance gigs. One of the questions I am frequently asked is where to find freelance jobs. There are plenty of web sites offering access to freelance gigs. (You do have to be on the alert for home business scams masquerading as home business opportunities.) If you are looking for freelance work, I have a few of my favorite places to check. However, you should understand that many of them are geared toward freelance writing, since that is what I’m most familiar with. One popular option is to head over to freelance marketplaces to bid on available jobs. I never enjoyed these very much. I did a job or two through Guru.com, but quickly tired of having to constantly try to undercut other bidders while figuring out how to compensate for the fact that these marketplaces often take a cut of what you make. This is not my first choice for looking for freelance work. Don’t Do It Yourself has a decent enough list of freelance marketplaces where you can find work to bid on. If you are willing to go a little lower than you would like, and if you don’t mind putting in the time to bid on jobs that you might not get, these aren’t bad places to go. However, I never really got into using these sites to find work. There are also a number of web sites that produce content for consumption by others. These sites might be content farms (like Associated Content, now the (like Associated Content, now the Yahoo! Contributor Network) where you can submit your work as much as you want, and then you are offered money for it, plus a traffic bonus. Other content producers, like ConstantContent and Textbroker, offer you the chance to connect with content buyers. These sites are nice because if you do a good job, you will be paid more. I did some work through ConstantContent, and received decent pay for my efforts. At Textbroker, you take a writing test, and are eligible for the highest-paying jobs only if your quality is considered top-notch. However, there are plenty of lower-paying jobs you can use to improve your skill with. You can also write on sites like Hubpages and Squidoo and earn money for pageviews or through revenue sharing from ads on your posts. These sites work by allowing you to post on what you want, and you just end up being paid according to how popular your work is. I did a lot of this type of work when I first started out. I was one of the early members at Associated Content. It paid the rent for many months while I began my freelance writing career. I still receive regular payments for pageviews from the Yahoo! Contributor Network — even though I haven’t written anything over there for quite some time. The same is true of Hubpages; I still receive residual income from AdSense ads on my posts. As you look for freelance writing gigs, you can also stop by regular job boards. One of my very favorite sites is Freelance Writing Jobs, which was started by Deb Ng and bought by Splashpress Media recently. Now, Susan Gunelius (someone I respect in the world of freelance writing) handles most of the editing. The site offers job leads, and helpful tips on getting started in the world of freelance writing. I am also very fond of Media Bistro, a great place for information on the world of media, and jobs. You can get a free account, or pay for a premium account. The free account, though, will get you access to the job board — where you can find plenty of legit freelance jobs. 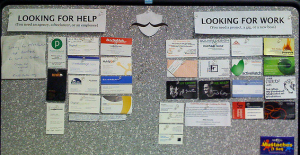 And, of course, no freelance writing jobs list would be complete without mentioning the Problogger job board. If you are interested in staff writing jobs on blogs, this is the place to be. You do have to be selective, though, since many of the jobs don’t always pay very well. There are plenty of opportunities out there. Get started on a content site that will allow you to submit as much or as little as you can, and get a steady stream of income going. In the meantime, you can apply for gigs on job boards, or bid for jobs in freelance marketplaces. The important thing, though, is to start writing. If you can get in some good practice, while making money, you can move on to better-paying jobs. It does seem like the bidding freelance marketplaces have gotten quite competitive as they gain international popularity. So I agree those sites may be more hassle than it is worth. You may have to apply for many jobs and answer many interview questions before getting any work. The more established accounts have the advantage of plenty of user feedback. For sites like Hubpages and Squidoo, you really do need to create popular content to make money. It helps if you are willing to spend some time doing a bit of marketing for each page. I haven’t used the other sites, but they sound like some good ways to make some freelance money. Hey Miranda, thanks for the shout out! I’m trying to get my sister to start writing for dollars….she was an English major and does a ton of fan fic with quite the following but has never made any effort to monetize. I think if she got her whistle wet with a couple of paid gigs it would start steamrolling….but she’s just got a different mindset. It pains me because she’s such a better writer than me and there’s so much opportunity out there. If you lived nearby I’d get her to meet you! FlexJobs is also another great place to find freelance/telecommuting jobs, too. this site is also best to finding freelancer job,often same freelance school. Few years back freelancing was not a very popular and the way it is increasing the competition its very hard to survive for new comer in market . Hi, I would like to introduce freelancermap.com to this discussion. We recently launched our international IT job board. We already have more than 70.000 users online and publish new ICT related projects every day. freelancermap.com can be used within cost free membership: no limits of application, no commission fees, no hidden cost. Design Quotes charges a commission once the provider wins a project and doesn’t force the client to work with the provider through the website. I think you should add http://www.freelancewrite.com/ to the list of job listing sites!!! I’ve used it and found it really great! Thanks, everyone, for adding more freelance resources. It’s great to know there are options out there!